Honestly, who doesn’t love Tony Stark? Played by the incredible Robert Downey Jr. in the Marvel Cinematic Universe, Stark is a brilliant, charismatic, and borderline alcoholic scientist and weapons guru who after being kidnapped by mercenaries out in the desert, has his heart removed and replaced with an energy source, builds a mechanical suit that enables him to fly, shoot lasers from his hands, and protects him from much damage. Once rescued and brought back to America, he’s approached by Nick Fury, who convinces him to join the Avengers Initiative, a program which assembles a team of assorted superheroes that come together to save the world when evil strikes. 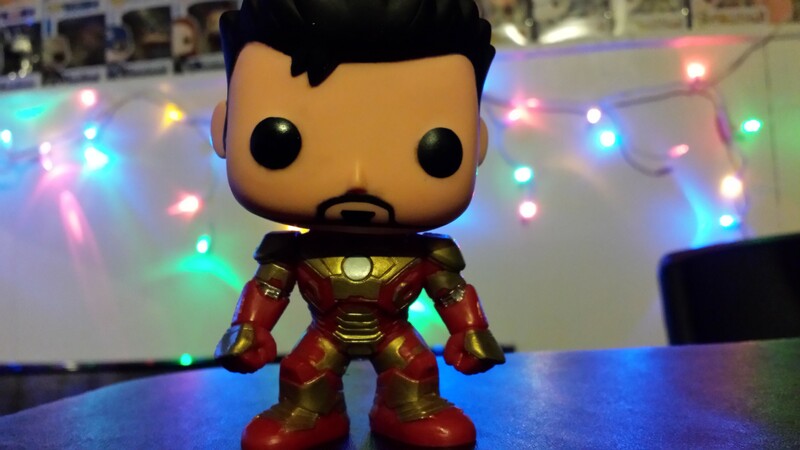 Tony Stark and his alter ego Iron Man are among my favorite characters, and it’s almost as if Funko knows that, having produced quite a number of variants in its line of Pop! vinyl dolls. I don’t have all of them yet, but I’ve amassed a decent little collection of the Iron Man line. 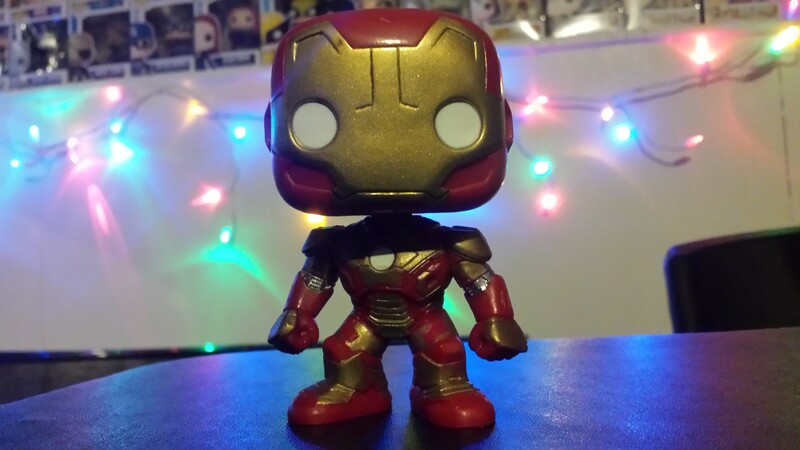 The first Iron Man Pop! doll featured here is from the first Avengers movie. Fairly simplistic, but they get a bit flashier as they go. This version is Tony Stark, or Iron Man Unmasked, which was a San Diego Comic-Con exclusive release for Iron Man 3, which is the second-best Iron Man film, of course. The spiked hair and goatee that every guy wanted after they first saw Robert Downey, Jr. as Iron Man are depicted here. This Pop! from Iron Man 3 is slightly different and more detailed than the first from The Avengers. Funko has continually honed their craft and packed as much detail as they can into a figure that stands shorter than 4 inches. 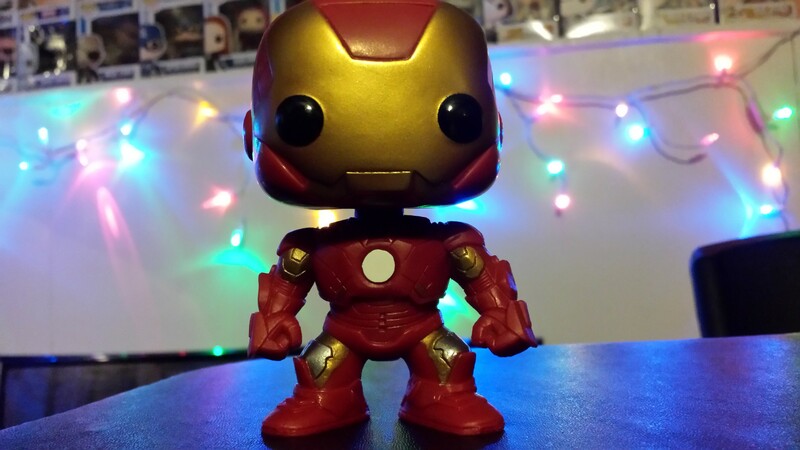 My favorite Iron Man Pop! 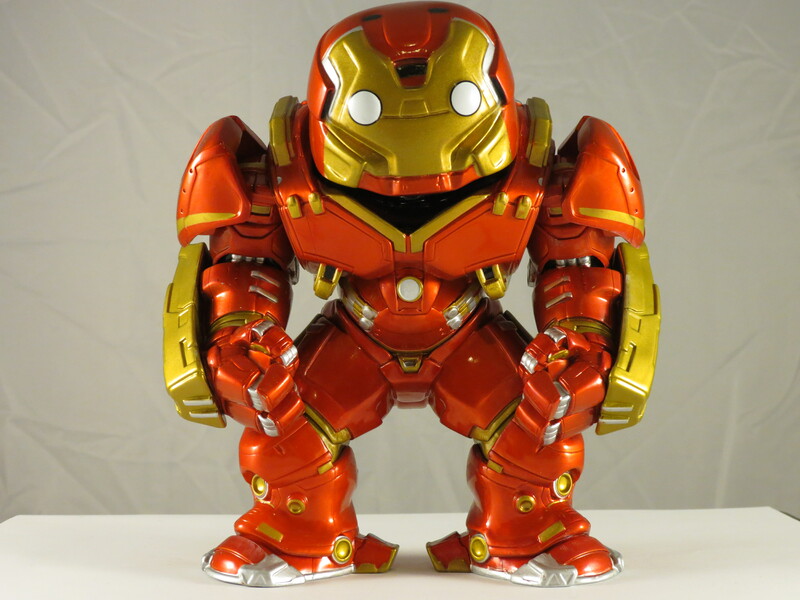 doll, and one of my favorites in general is the Hulkbuster Iron Man, as shown in Avengers: Age of Ultron. This bad boy was an exclusive release from the very first Marvel Collector Corps box, a joint venture by Funko and Marvel that sends a bi-monthly nerd box to the doorsteps of fans, which include Pop! dolls, t-shirts, and other exclusive memorabilia. The Hulkbuster Pop! doll weighs in at over a pound! 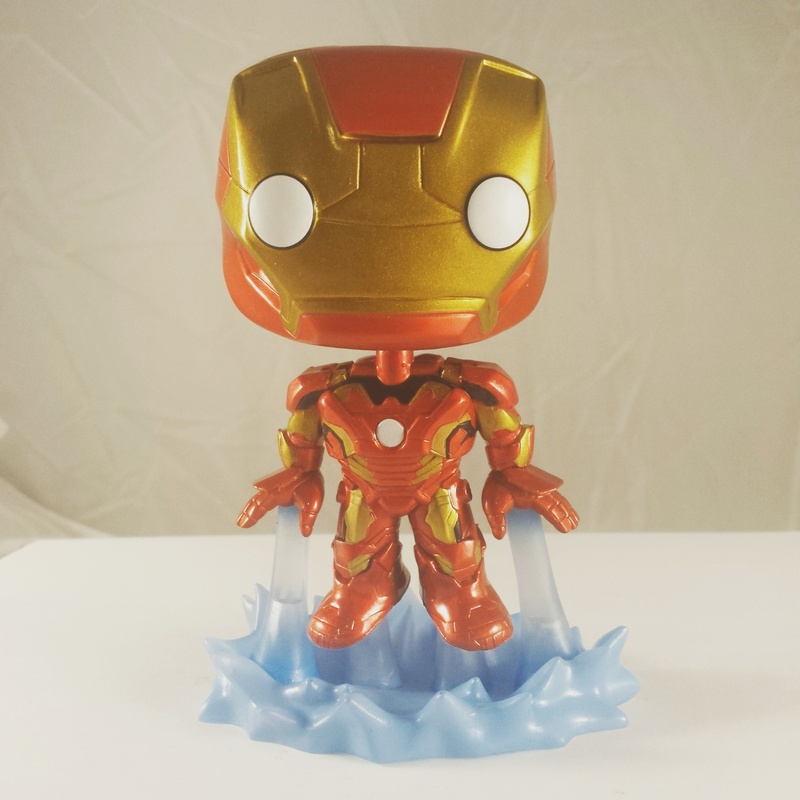 Shown at the top of this blog is the Iron Man Mark 43 Pop! from Avengers: Age of Ultron, which is also one of my favorites. This one has Iron Man afloat, with the help of the jet-propulsion devices in the hands of his suit. On this Friday, the Funko Iron Man extravaganza has showcased some of my favorite pieces from my ever-growing collection of Pop! dolls. Until next time, keep calm and collect on!